How can a corporate wellness program get your employees motivated? 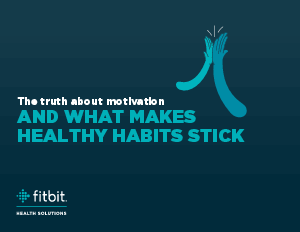 Motivation is essential to maintaining positive behavior changes, especially when it comes to achieving health goals. But how do employees get motivated, and most importantly, stay motivated? Simply put—it depends on the person and why they want to get healthy. You’ll also get your hands on motivational messaging tips to apply to the various fitness levels at your company. Get your team on a path to wellness today. Download the motivation whitepaper now!